Obituaries: Mr. Oscar Indaleco, Mr. Thomas Eugene “Tom” Poe. Mr. Thomas Eugene “Tom” Poe, age 89, of Rome, passed away Sunday, October 7, 2018, at his residence. Mr. Poe was born in Leeds, AL on April 11, 1929, son of the late James Acton Poe and the late Essie Weems Poe. He was also preceded in death by a sister, Marcella Reaves, and by 5 brothers, Leon, Donald, Harold, Charles, and James Edwin Poe. Mr. Poe was a graduate of Berry High School and received his Bachelor’s Degree from Berry College. He continued his education at Western Carolina University where he received his Master’s of Education and at the University of Georgia, completing his Ed. Spec. Degree. Mr. Poe taught at Rabun Gap Nacoochee School for 6 years and then at East Rome High School. In 1971, he was awarded the Laureate Citation from the Epsilon Pi Tau professional fraternity for research that led to a federal grant to construct the Rome-Floyd Technical High School, now the Floyd County Schools College and Career Academy. He served as Principal there and retired following many years of leadership. He continued his relationship with Berry College and served as a Trustee for the Fred H. Loveday and James N. Luton, Sr. endowed scholarships. Mr. Poe and his wife, Ollie, made history in 2012 when Berry College honored them as the first couple to receive the Charter Fellows Award for Outstanding Service to the Profession of Teaching. He was a former President of the Georgia Industrial Arts Association and a former Vice-President of the Vocational Education Association of Georgia. 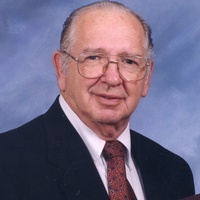 Mr. Poe was active in the Carpenters for Christ and was a long-time member of First Baptist Church of Lindale, where he served as a Deacon and in many leadership roles in the church ministries. Survivors include his wife, the former Ollie Hodge, to whom he was married on November 21, 1951; his daughter, Sheila Poe Love (Bob), Kathleen, GA; 3 grandchildren, Bowen Love, Henrico, VA, Stephen Love (Stephanie), Kathleen, GA, and Blake Love (Rebecca), Kennesaw, GA; 5 great grandchildren, Brody Poe Love, Everly Love, and Beckett Love, all of Kennesaw, Jace Love and Genevieve Love, both of Kathleen, GA; nieces and nephews. Funeral services will be held on Wednesday, October 10, 2018, at 2 p.m. in the Chapel at Henderson & Sons Funeral Home, South Chapel. The Rev. Bob Skelton will officiate with Mr. Rex Puckett delivering the eulogy. Interment will follow in Floyd Memory Gardens. The family will receive friends from noon until the service hour. Pallbearers are requested to assemble at 1:30 p.m. and include: Sandy Atkins, Rex Puckett, Jeff Davis, Lynn Popham, Charlie Gilbreath, Terry Brandin and Danny Wiseman. Mr. Oscar Indaleco, age 76 of Laredo, Texas, passed away Friday, October 05, 2018, at Floyd Medical Center Rome, Georgia surrounded by his loving family. Wright Memorial Mortuary. ← Latest Heritage First Headlines: Michael takes aim on Gulf Coast; could bring 1 inch of rain, gusts here. Dempsey, J.L. Todd auction team up to sell Doris Todd’s living estate. Q&A with County Commission candidates; last day to register is Tuesday. John McClellan’s high school football picks. Braves win; game 4 today.